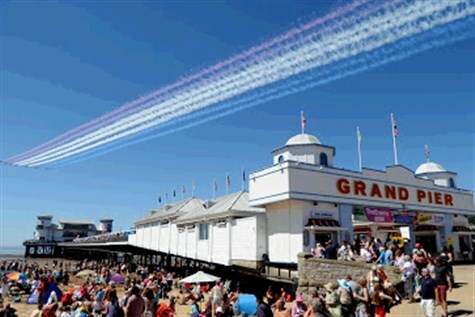 Enjoy a fabulous free air show taking place over the skies above the glorious Weston Bay! Displays will include formation display teams, fast jets, historic planes and helicopters as well as fabulous entertainment on the ground and all the usual amusements the popular resort has to offer. The event also combines with the Armed Forces Weekend and on show will be Armed Forces Display Teams, Cadet Forces, arena entertainment and military bands.